Aoki Functional Genomics Lab was established in April 2012 as a member of Plant Science Division, Graduate School of Life and Environmental Sciences, Osaka Prefecture Unversity. Our goal is to elucidate the molecular mechanisms of link establishment between molecules, cells, and plant individuals, to develop novel function of plant. 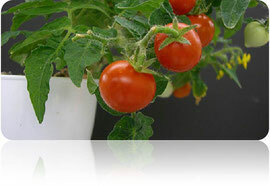 To acheive this goal, we employ both "wet" experimentl approach and "dry" bioinformatic approach, using plant materials such as tomato, arabidopsis, Orobanche, and Cuscuta. Our research work. Have you ever seen 2001 A Space Odyssey? We are looking for "my God, full of stars"-experience..